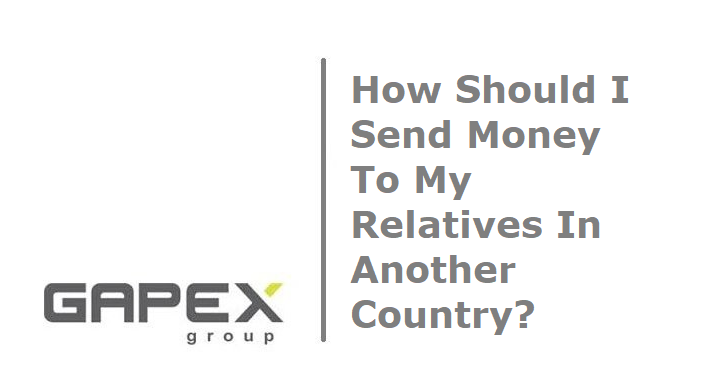 Home News Articles How Should I Send Money To My Relatives In Another Country? We are often asked this question. There are so many different reasons for sending money overseas. For example, more and more South Africans have opted to leave the country over the last few years and it’s only normal for parents to want to send money to their children if they are faced with uncertainty. You may even want to invest but you may not know which service to use. For instance, you could use one of the services such as Paypal or Western Union. However, their charges are different and could be steep. They obviously have more costs to deal with because of all the branches they have to deal with. More charges from the various middlemen means less money left over in your bank account. What Would Be The Best Way In Order For Me To Save Money? The easiest way we have found is for us to open up an allowance account for you. If you are a South African citizen, the documentation is quick and we can even give you a better exchange rate than the one you will get at any of the aforementioned places. We do a transfer to your relatives as a gift in any country. This is a very simple procedure. You have, as part of that gift allowance, up to a million rand per calendar year as part of your single discretionary allowance. This is something that any individual in South Africa can use. This does not only apply to relatives. If you have opened up an offshore account or have money invested, you can use your single discretionary allowance of up to one million rand. And you can use a further ten million rand allowance available to you, known as an investment allowance. However, you will need a tax exemption for foreign payments from SARS for the ten million rand. The first one million rand that you can use for gifts or an investment into an account does not require SARS tax clearance. Keep in mind that any of our individual transfers of R150,000.00 or more will be free of bank transfer fees. If you would like to know more about your single discretionary allowance and need someone to help with the paperwork, then contact us right away by filling out the form found on our Contact Us page.